This luxurious vegetable soap has been blended with organic chocolate, containing antioxidant flavonoids which are thought to protect skin against the ageing effect of free radicals. Uplifting with a delicious aroma, this soap from Faith in Nature has a low pH to gently cleanse and tone your skin, without drying it out. Aloe Vera contains enzymes that enhance moisture balance. Ylang ylang and patchouli are soothing and fraggrant. Suitable for Normal, Dry, Baby & Elderly skin types. Sodium palmate*, sodium cocoate*, aqua, theobroma cacao**, vanillin*, glycerin*, sodium chloride, sodium citrate*, * vegetable origin ** certified organic May contain nuts. 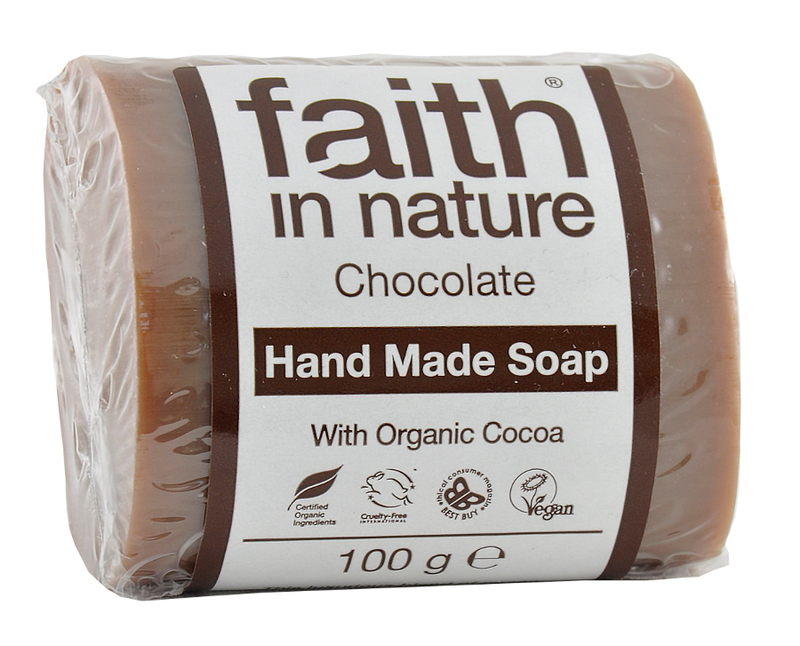 The Faith in Nature Chocolate Soap - 100g product ethics are indicated below. To learn more about these product ethics and to see related products, follow the links below. Really smells like chocolate, and really cheap. There are better soaps out there - the smell is faint and only vaguely chocolatey, turns dirty beige colour after a while. Uses palm oil. Otherwise it's fine. Wouldn't gift this tho. 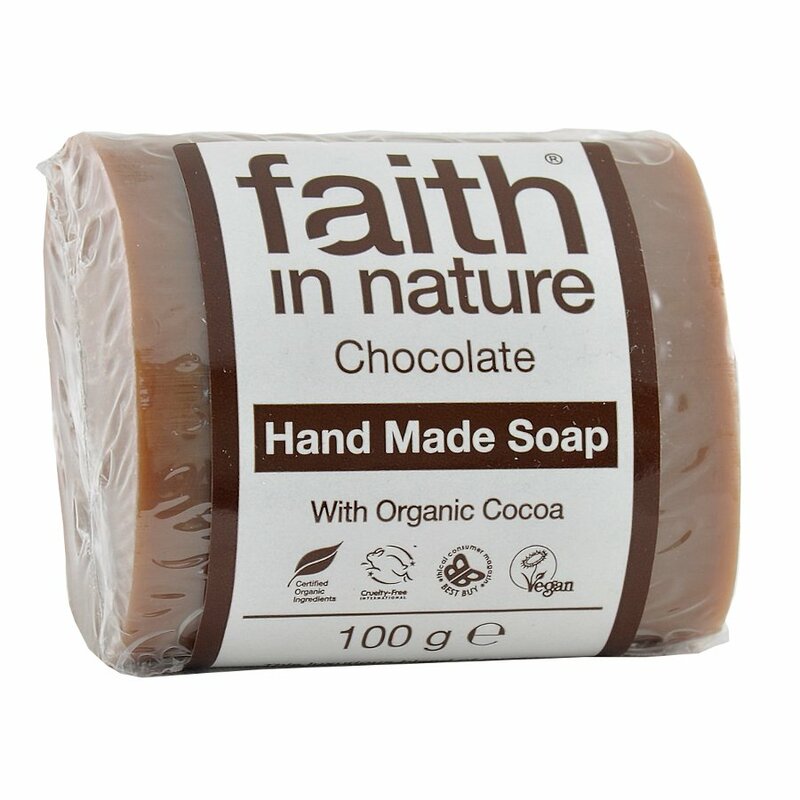 There are currently no questions to display about Faith in Nature Chocolate Soap - 100g.